The goal is to provide parents familiar books to help make the unfamiliar of a contemporary art museum less daunting. 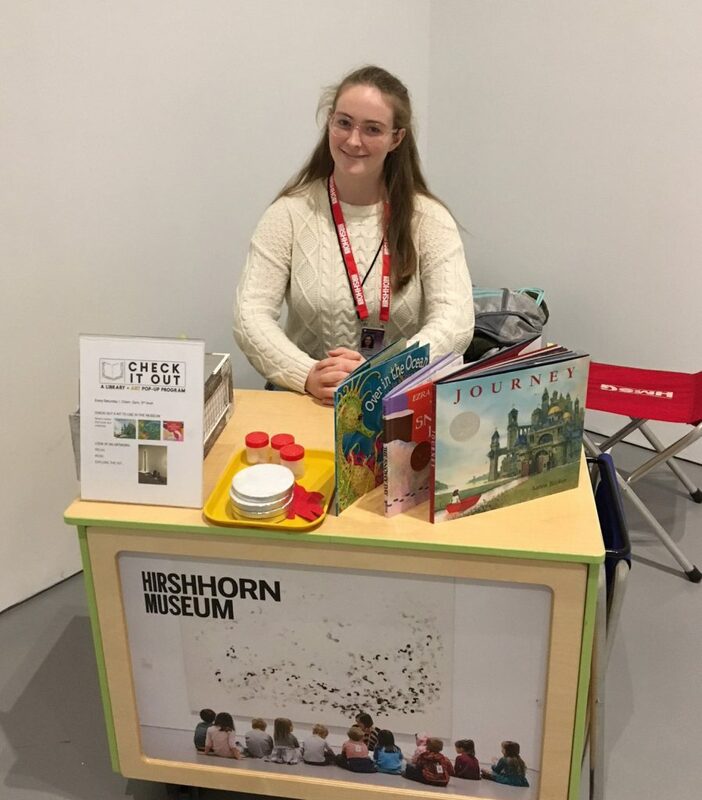 Each Saturday morning, between 10am-2pm, our local teen docents set up the Check It Out cart in the entrance of the Hirshhorn’s 3rd floor exhibit “What Absence is Made Of”. Families can drop by and explore the hands-on material on the cart, choose a book, and borrow a bag for the duration of their visit. The teen docents are ready to provide guiding questions, art suggestions, and all-around tips for a successful family outing. Check it out. Previous Post #ColorOurCollections is back! It would be interesting to know what books are included in the program.